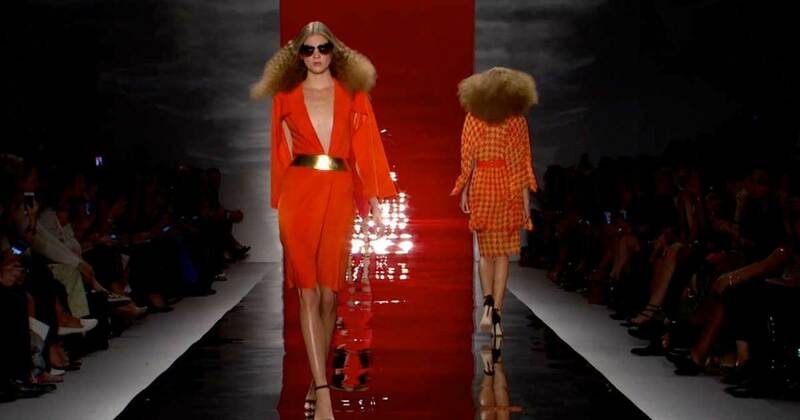 NY Fashion Week: Reem Acra Spring 2014 Collection! At Mercedes-Benz Fashion Week in the Big Apple, designer Reem Acra showed off her Spring 2014 collection, which takes its inspiration from nighttime celebrations. Whether short or long, it is all about the dress this season, and each look sets the scene for a glamorous event. The Reem Acra woman is a sophisticated, international downtown partygoer, dressing mostly in black, but illuminated by sparkling ornamentations and light-reflecting embroideries that evoke the night sky as if lit by fireworks. With a spontaneous clarity, experimental effects of transparency, masterful layering of chiffon, and overlapping patterns create an electrifying quality of movement. Blasts of red, liquid gold, and printed silks break through the dark. With distinct and fresh silhouettes, Acra’s chic and effortless gowns are both lean and voluminous inviting the wearer and her admirers to revel in sumptuous yet cool, edgy elegance. The overall result captures the energetic feeling of the night.